Exciting music, electrifying performances and unforgettable experiences, the biggest musical battle – Forum Rock ON is back! A platform that provides an opportunity for competent artists to showcase their talent and get a chance to win phenomenal prizes. The shortlisted participants will get to perform at the prelims on the 8th February (Rock), 9th February (Fusion) & 10th February (Pop). 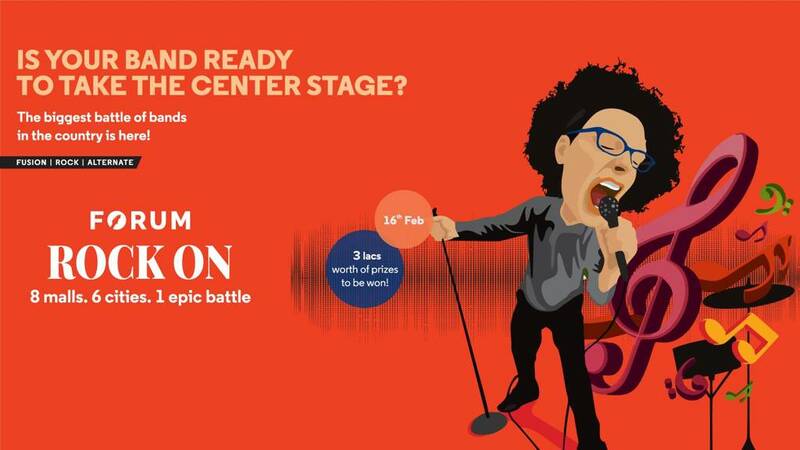 The grand finale will be held on 16th February 2019 simultaneously across Forum Chennai, Hyderabad, Bengaluru, Mangaluru and Mysuru. The winners will be entitled for prizes worth 3 lac. Entry is free and through registration only.